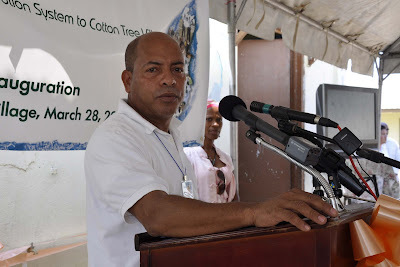 The Prime Minister of Belize, Hon Dean O. Barrow, officially inaugurate the Belmopan-Cotton Tree Water Expansion Project on March 28, 2011, which is part of a larger Government initiative to provide a reliable supply of safe and potable water to over 2,000 residents in three main villages along the Western Highway. The ceremony was held in Cotton Tree Village. The Belmopan – Cotton Tree Water Expansion Project represents the first phase of a project that aims to improve the quality of water supply to over 386 households in the villages of Cotton Tree, St Mathews and Franks Eddy along the Western Highway. The ongoing project will connect all three communities through a 64,100 ft transmission line from the central water system in Belmopan. The pipes are being buried 3 ft underground so that it is not prone to damages by flooding, which is the only natural hazard due to creeks that cross the highway. 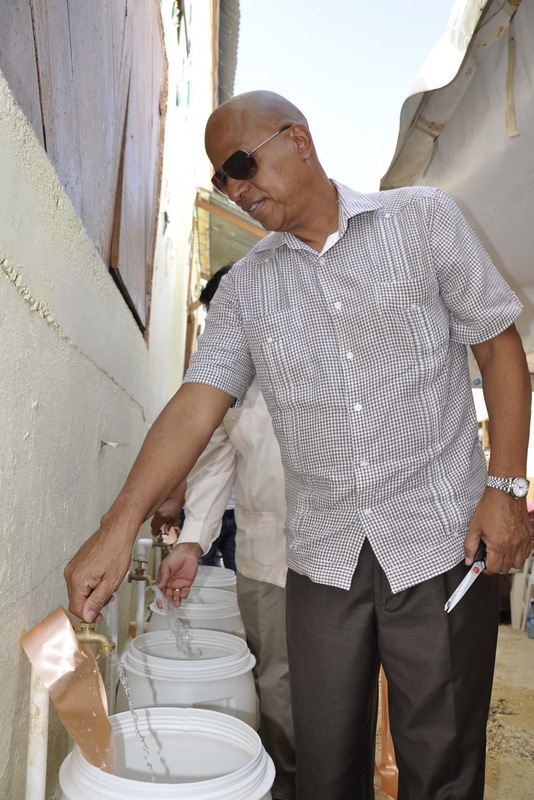 The water source in Belmopan is sufficient in quantity and quality to supply all three villages. In fact, BWSL had, in the past, already established expansion points on the Western Highway strategically placed for such an endeavor. This $1.5 million project is being funded by the Government of Belize ($1.0 Million) through the Commonwealth Debt Initiative (CDI) and Belize Water Services Limited ($0.5 Million). 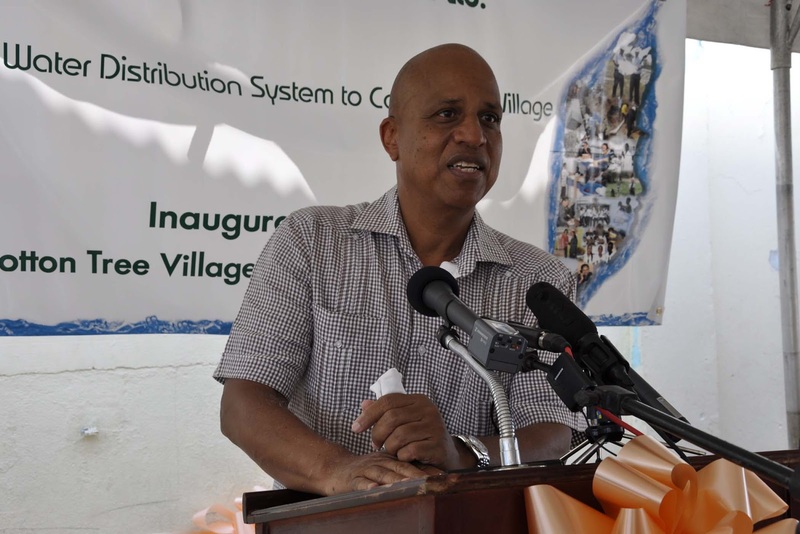 The project is being executed by the Belize Water Services Limited (BWSL with oversight by the Social Investment Fund. The Belmopan – Cotton Tree component is estimated at $1.3 Million. 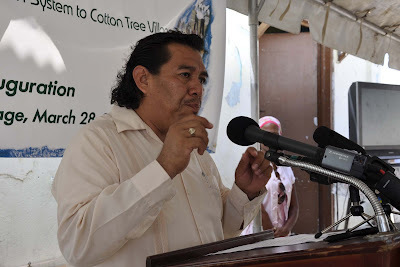 The communities of Cotton Tree, St Mathews and Franks Eddy are located along the Western Highway in the Cayo District approximately 3 miles from each other and 9 miles from Franks Eddy to Belmopan City. All three villages have existing water infrastructure but the area has not yielded water in sufficient quantities and wherever water has been found it is not suitable for drinking. With the growth in population, reserves have diminished leaving the entire area without potable water. Hence, the residents in these three communities have to rely on springs and hand dug wells for their daily consumption of water. The project has come to fruition through the efforts of the Government and Hon. 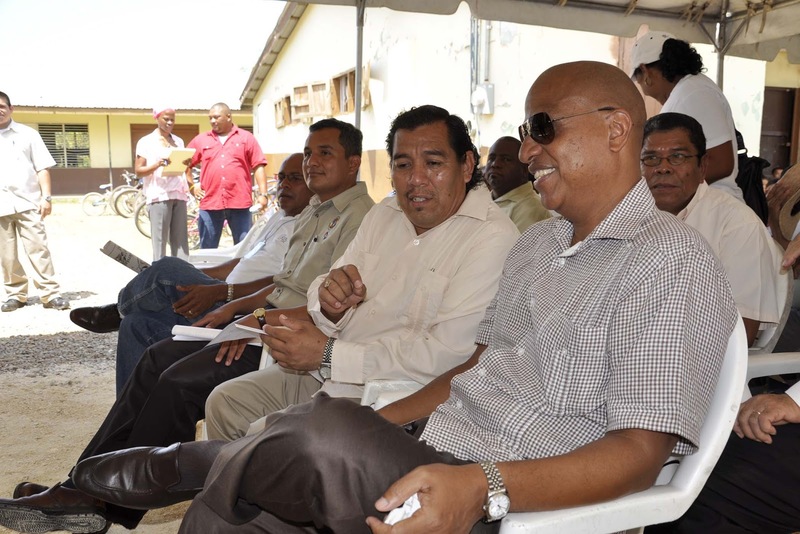 Ramon Witz, Area Representative for Cayo South, working hand in hand with the village councils and water boards of the respective villages. The improvement to the water system in these communities will reduce health hazards due to water borne diseases. It will also assist these communities to provide better services to the tourism sector, improve their economic opportunities and enjoy better health, sanitation and living standards. Belmopan, Monday, 28th March 2011 For further information, please contact Mr Mike Hernandez Jr. J.P., Director of Public Relations, Social Investment Fund at Tel. 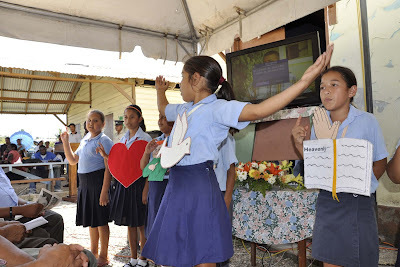 822-0239/0508 or via email at mike.hernandez@sifbelize.org or Cell No. 634-4002.